Voting is a fundamental civic duty and right of all eligible U.S. citizens and one of the primary ways we make our voices heard. For youths who come of voting age, it is an important rite of passage. This Challenge aims to help ensure that the torch of civic engagement is passed on to the next generation of voters. We are each responsible for the health of our democracy. 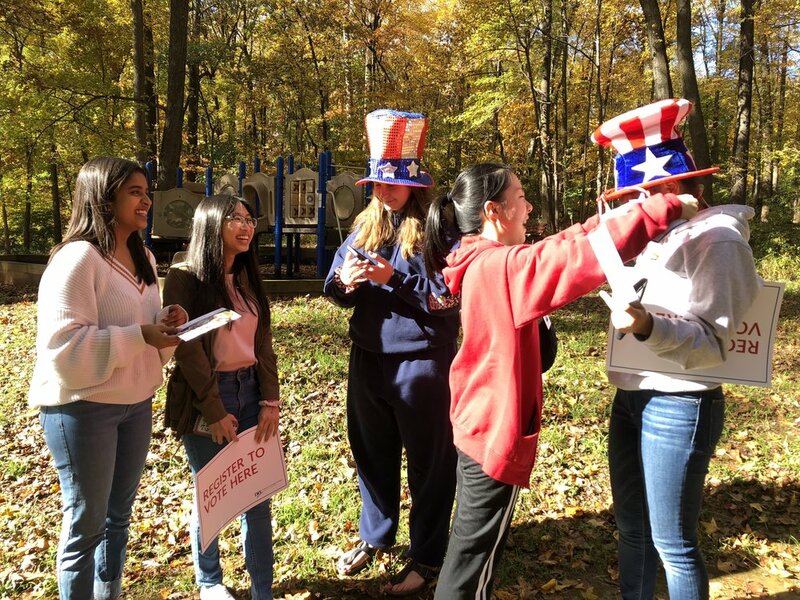 The LWV of the Fairfax Area has teamed up the Fairfax County Council of PTAs (FCCPTA) and Inspire VA to create this challenge, which is modeled after the Governor’s Challenge. We are also working with the Fairfax County Office of Elections and the FCPS Social Studies' Department to ensure we are reaching eligible students. We are challenging the FCPS Schools to register their seniors. The school with the highest percentage of registered seniors wins! Every school which registers 50 percent of their senior class will be recognized. The Challenge deadline is May 20th, 2019, the Voter Registration deadline for the June 2019 Primary. More than 5,000 students registered last year. Let’s do even better this year! Every FCPS school has a unique URL for voter registration. (See below for your high school!). We can come to your school to register voters and about voter registration. Find the 2018-19 FCPS High School Challenge Flyer here. The voter registration deadline is May 20th for the June Primary. The June Primary will be on June 11th! Those registered, even if 17, can vote in primaries and special elections. We can come to your classroom to register students, come do lunchroom drives, work with students to train them or for those seeking volunteer hours as well. Please contact Beth Tudan, director@lwv-fairfax.org, or Nancy Roodberg, hsvolunteers@lwv-fairfax.org, the League’s high school program. Who can register to vote online? By registering via your unique link below, your school will get credit towards the Challenge! That's how we will keep track of how many students have registered per school. Click on the name of your high school below. The link takes you directly to the site of the Virginia Department of Elections. Email director@lwv-fairfax.org if you would like more information. 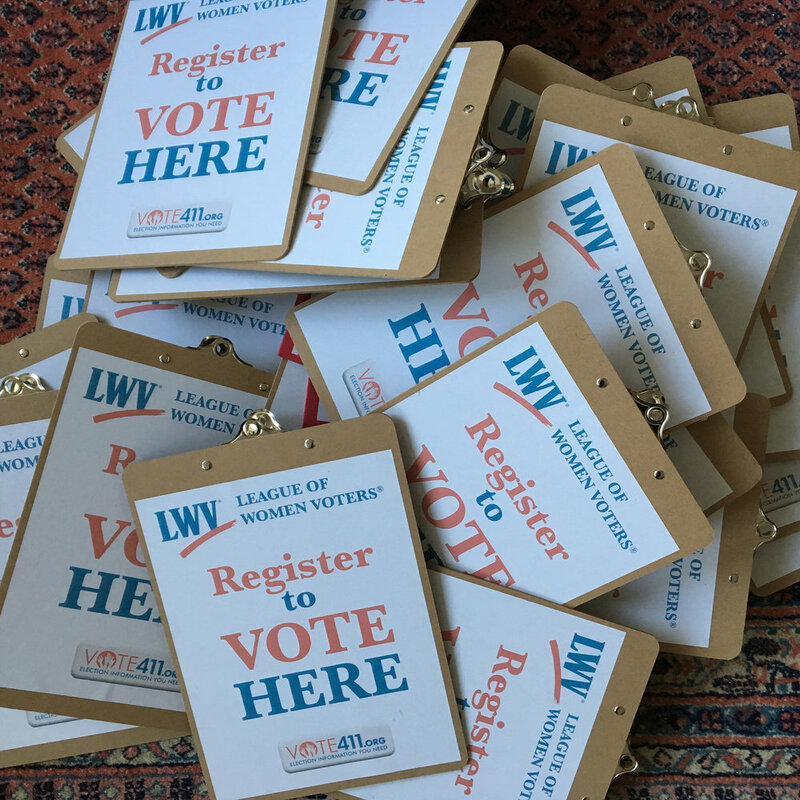 Please contact Beth Tudan, director@lwv-fairfax.org, Executive Director of the League of Women Voters of the Fairfax Area or Nancy Roodberg, hsvols@lwv-fairfax.org, the volunteer coordinator for the League’s high school program. Q: If we can register to vote online, we can actually vote online, right? A: What? NO! You can not vote online!!! Can you imagine the problems that would happen if online voting were actually hacked? (You might have heard about hacking into election systems, but that was actually the voter registration databases, not the actually vote counting mechanisms themselves). Did you know that there are 13,000 different jurisdictions making their own rules about conducting elections in the United States. States, cities, counties, and tiny towns all make rules regarding elections. That fragmentation actually helps us since it would be difficult to hack so many of the different jurisdictions. Q: Do you know the most secure way to vote? A: On paper. That's right. Read more here. HOW DO SCHOOLS REGISTER FOR THE CHALLENGE? HOW DO TEACHERS AND STUDENTS SUBMIT THEIR REGISTRATION NUMBERS? All FCPS High Schools are have their own unique URL that links directly to the Virginia Department of Elections' website. That allows us to track the numbers registered. The links for each high school are listed on this page. FCPS teachers if you've held a drive at your school, please submit your numbers here. Students, if you have registered elsewhere, please let us know here so that we can count your registration toward your school's numbers. PTAs, please submit your numbers here. Please let us know if you would like any help with a voter registration drive. Are you an alumni, parent, neighbor, teacher, or a fan of a particular school? Please don't use these links on the High School Voter Registration Challenge page to register or check your registration. Register here instead. FCPS Schools will register their seniors. Each school which registers at least 50 percent of their senior class will be recognized. The school that registers the highest percentage of their senior class will win the High School Voter Registration Trophy. 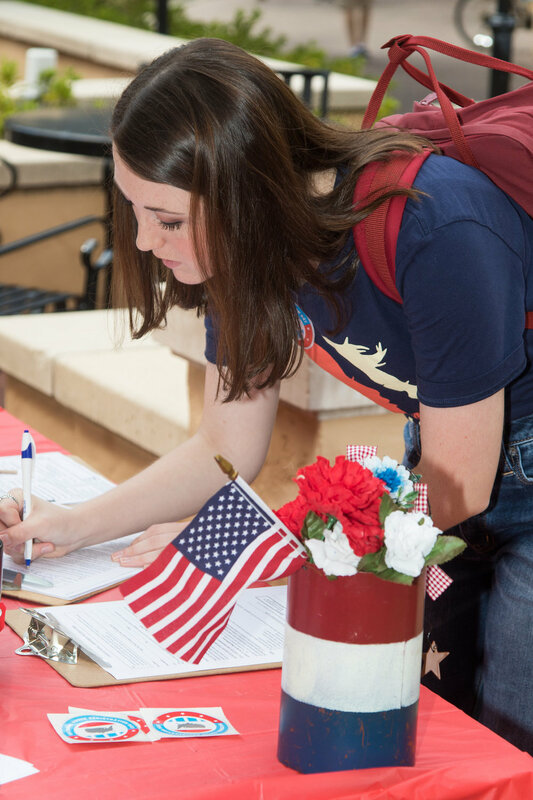 Schools should send us their registration numbers by May 20th, 2019, the Voter Registration deadline for the June 2019 Primary. 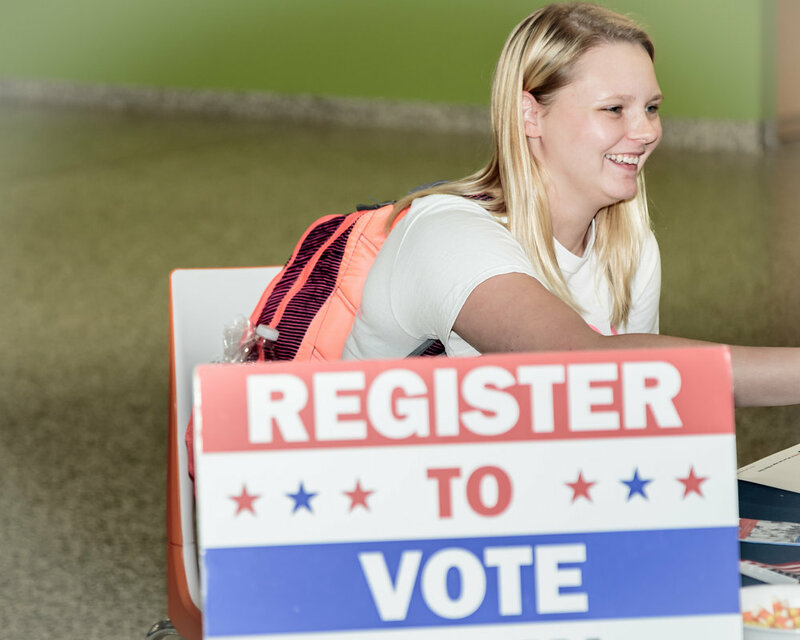 The school that registers the highest percentage of their senior class will receive the 2019 Voter Registration Challenge First Prize trophy (and bragging rights!). Any schools which register over 50 percent of their students will receive recognition. Download the 2018-19 FCPS Voter Registration Challenge flyer here. All high schools in FCPS and all FCPS students who meet the voter registration requirements. Q: Our school would like to participate, but we have many students whose parents are in the military and hold residency in other states. Should these students participate? A: Yes, these students should participate, but they need to talk to their parents to see where their parents would like them to register to vote. The students can fill out a survey, pledging that they have registered in another state. We will then count them as participating. They can also go to VOTE411.org to find out about voter registration in each state. Q: Where can students register in another state? Q: Our school has students who were born in other countries and are not yet US citizens. A: Many FCPS schools have a good many foreign born students. Discuss the importance of registering to vote when they do become citizens. Q: I heard that 17 year olds can vote in Virginia. That's not true, is it? 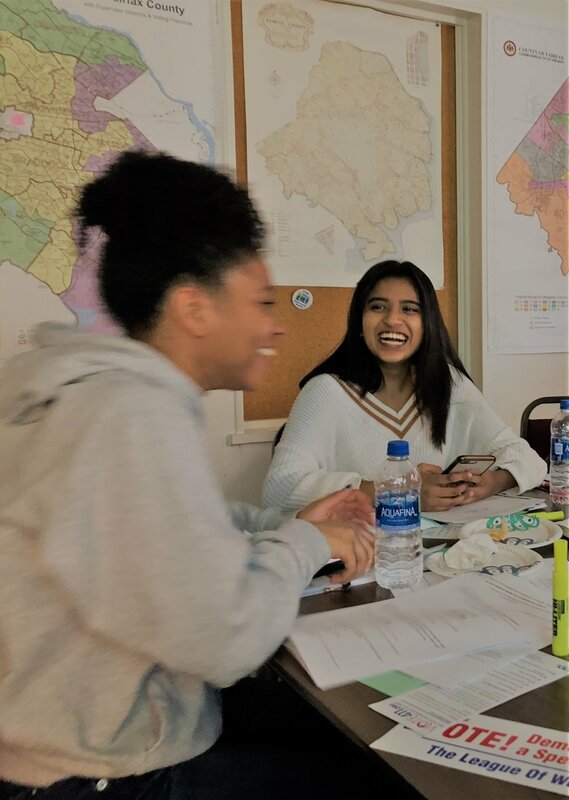 A: Yes, it is true -- seventeen year olds who are registered to vote can indeed vote in primaries in Virginia as long as they will be 18 by the General Election. In 2019, the primaries for the local and statewide elections will be held on June 11th. Since primary voters decide which candidates run in the General Election, that makes sense, no? Q: I am 17 and live in the Town of Vienna. My birthday is July 29th. Can I vote in the Town of Vienna elections in May if I am already registered? A: Ah, well one might think so since you can vote in the June primary when you are 17. A town election is different, though, as it is the final, i.e., general, election. You can vote in the primary election as long as you will be 18 on or before the General Election. Thus, your vote will help decide who runs in the general election in November. The town election, however, is the final election -- there are not primaries. So, sadly, no, you cannot vote in the Town of Vienna election in May when you are 17. Never fear, though. You can vote the following year when you are indeed 18! Q. 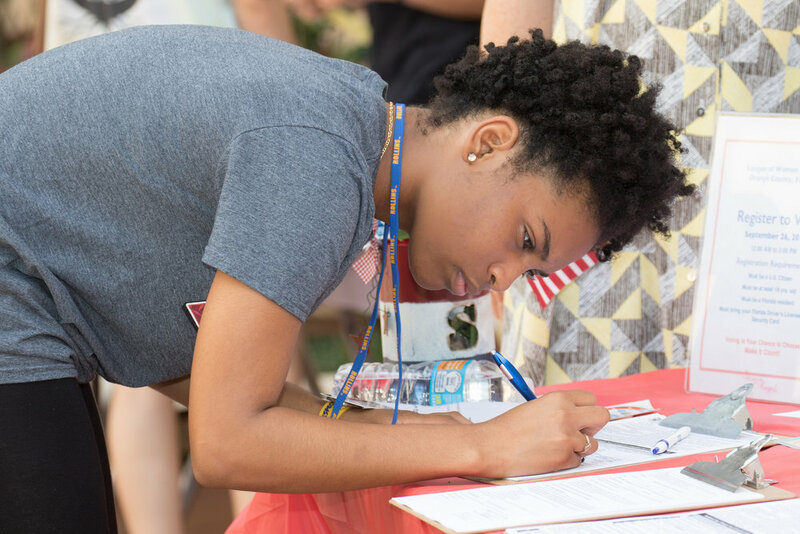 Where can I find more information about voter registration in Virginia? Q: Where do I find out more about High School Voter Registration Drives? A: For more about high school voter registration drives, click here. Q: What about college students? Do they vote at home or at college? more than 5,000 FCPS students registered During 2017-18! Click here for even more Frequently Asked Questions.